“Maybe we should have paid more attention to Party Girl,” Roo said. Roo laughed. Guffawed might actually be a more accurate term. “Which song?” he asked in return. Just got this press release and can think of a few people who will want to know all the details. Amanda Palmer is playing on New Year’s Eve at Terminal 5 in New York City. Here’s all the pertinent information in bullet point form. Amanda Palmer & the Grand Theft Orchestra will be playing Prince’s landmark album Purple Rain. The whole album. Palmer and the band will also be playing a set unrelated to Prince’s album, including music from Theatre is Evil. Jherek Bischoff and Simple Pleasure are opening. There’s also a “super secret guest.” Let the guessing games begin. From Palmer’s statement, one can deduce that there will be many Prince-a-likes at the show and, hopefully, some bare bottoms. 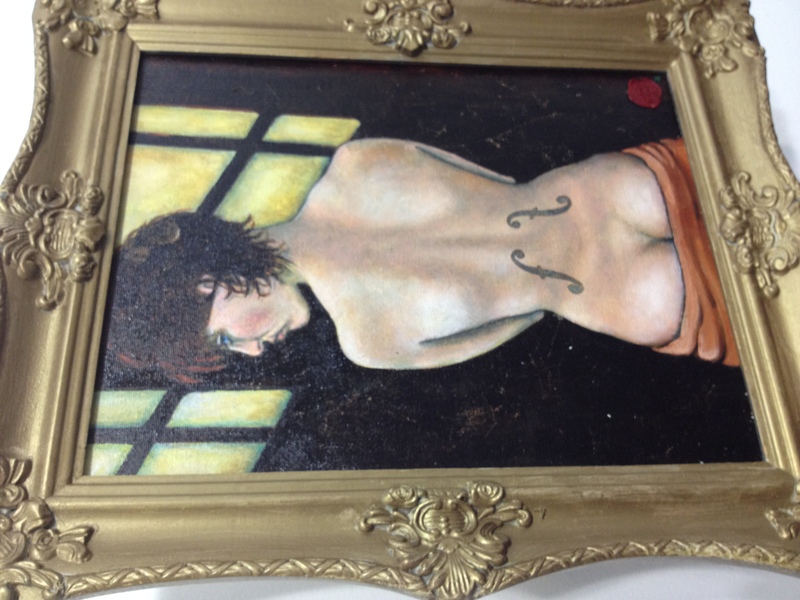 Photo: Painting inspired by “The Living Room” by Cynthia Von Buhler. Taken at PoptART for Amanda Palmer’s L.A. Kickstarter event. 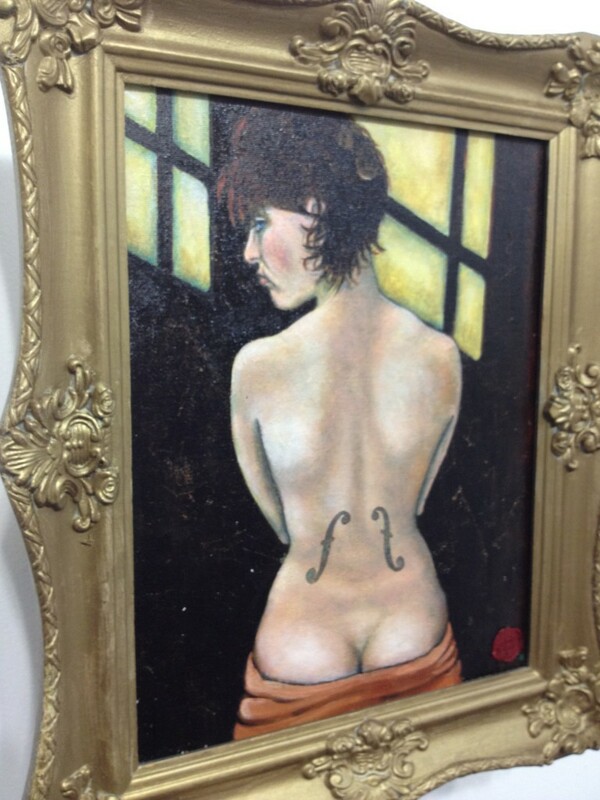 Read my story about it on L.A. Weekly’s arts blog. I’m writing this while listening to Words and Music, the latest album from Saint Etienne. It’s the U.S. exclusive, the one with the bonus disc that was sold on the tour that just ended. I bought two copies. Technically, there was a one per person limit before the show at the Fonda or the Music Box or whatever that venue is called today. I had my boyfriend stand in line for the second one because I had promised my friend that I would score a copy for her after she was unable to get one at the New York show. Words and Music is all about people like us. There are songs about the moment you fall in love with music, songs about hitting the clubs, songs about getting ready for the big concert. 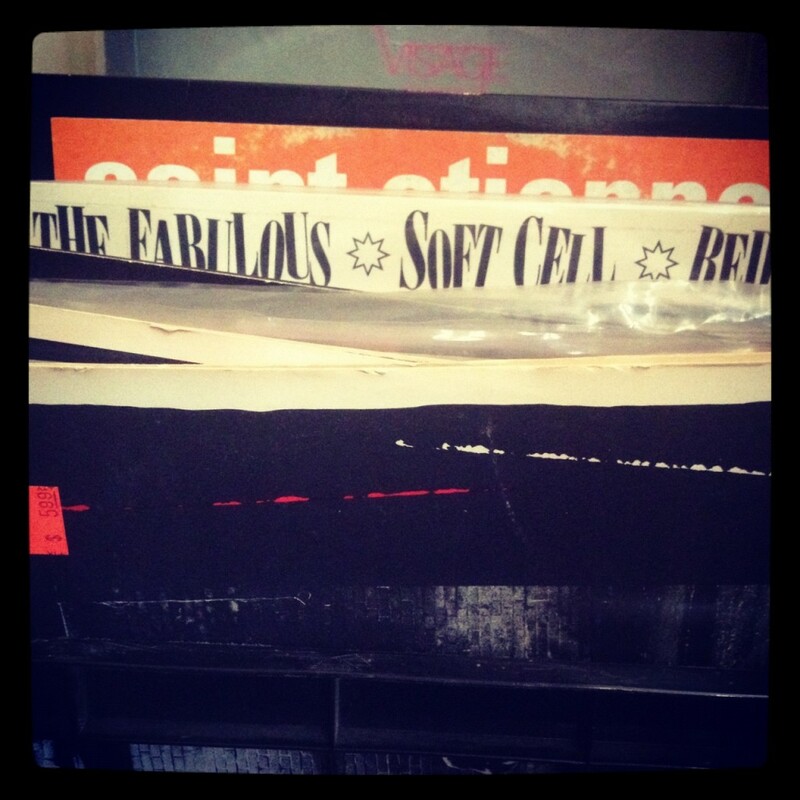 I interviewed the trio from Saint Etienne once, not long after I graduated from college. We spent a lot of time talking about record shopping. They might be more like my small group of pals than any band I’ve ever met. It takes longer than it should for me to pack and unpack vinyl. I grab a big chunk from a shelf, bend over to shove them in a milk crate and stop. I look at the covers. There’s that copy of Z-Trip and DJ P’s Uneasy Listening Vol. I that I bought at a Z-Trip gig about ten years ago and a 12″ single for “I Eat Cannibals,” a Total Coelo track I should play more than I do. There are well-worn Kinks and Stones records, a handful of DFA singles still in pristine shape, even a 12″ for Tom Jones and the Cardigans covering “Burning Down the House.” And out of all these records, a couple thousand of them at the least, I can remember their stories. I can tell you which ones I picked up at shows, which ones were souvenirs from my first trip to New York, which ones I found for $2 when they usually sold for closer to $50. I can’t say that about the bulk of CDs haphazardly collected in boxes, nor can I say that about any MP3 in my collection. This attachment to vinyl goes beyond any sort of preciousness for a specific medium, at least in my case. When I try to understand this obsession with vinyl, I think about more than cover art or grooves or sound. 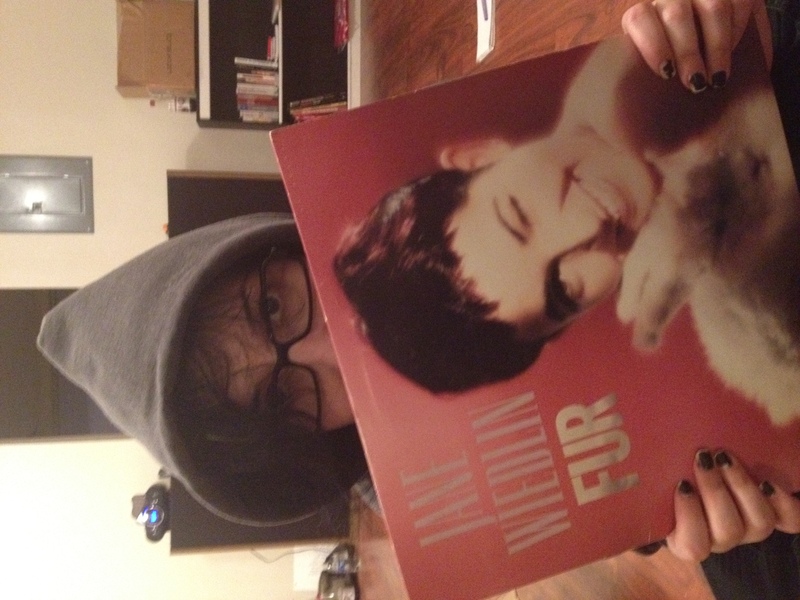 I think about how the record came into my possession. More often than not, I bought it and, to buy it, usually took a certain amount of digging. One crate of vinyl packed. A single vinyl record won’t take up much space. The big ones are 12″ in diameter. The small ones are 7″. The heavy ones are 180 g. The light ones, more like 120 g. The problem is that vinyl is a lot like the great M&M. You can’t have just one. And, if you’re like me, you can’t just have 100 or even 500. Though I’ve never completed a count of the vinyl in my collection, I can tell you that it’s a lot. I can tell you this with absolutely certainty right now because I’m trying to move it. I got a new pad somewhere in a neighborhood we’ll refer to as Greater Hipsterville. It’s a sweet place and I’m more than excited to finally live amongst the record stores and clubs I frequent. 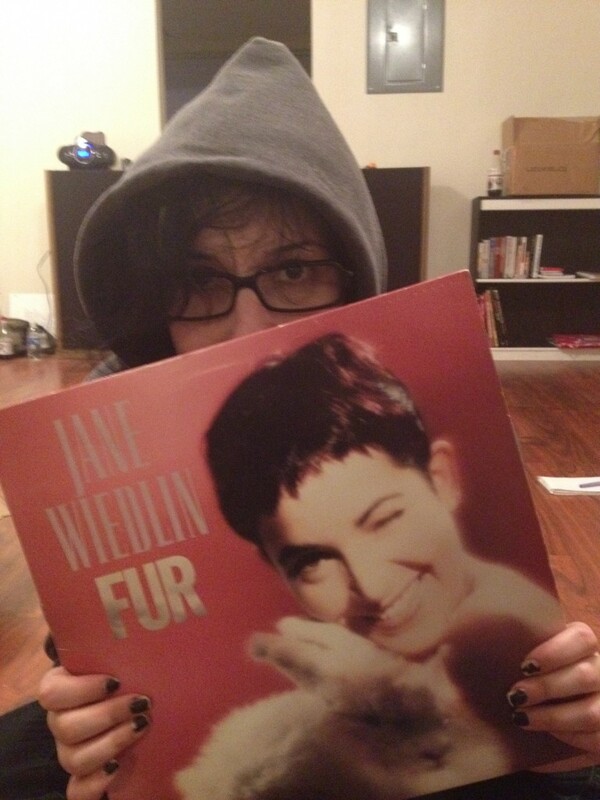 But, I’m not excited about trying to move the vinyl. 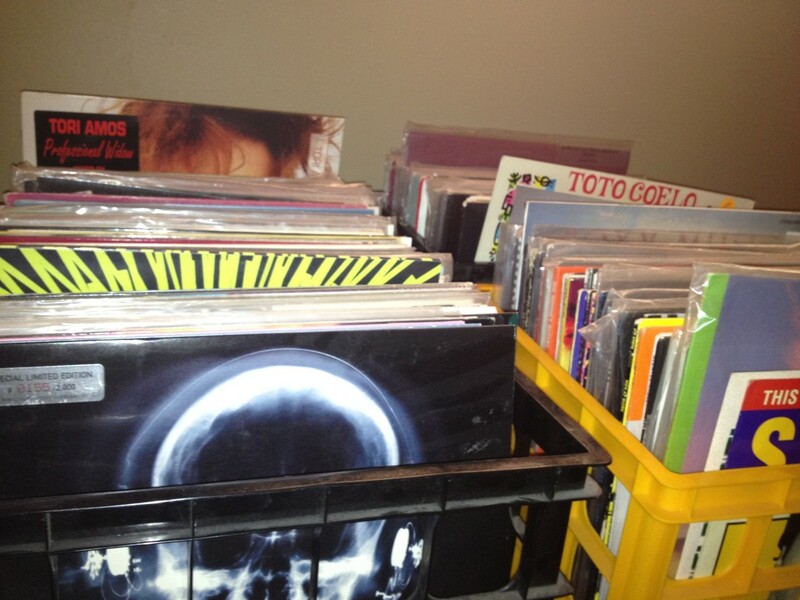 So far, I’ve packed seven crates, each one holding a bare minimum of 75 records. I’m nowhere near halfway done. I forgot to hang onto my set list last night. Oh, well, here’s some of what I’ve played. This is the play list for the first set and highlights from the rest of the night. I had the song stuck in my head once again as I drove to Meltdown Comics on Tuesday night. The Nerdist crew kindly invited me to stop by for the big event, a Die Antwoord music video marathon with Ninja and Yo-Landi Vi$$er in the theater talking about said videos. Boing Boing was hosting the event. Even though I just returned from a mountain excursion and am in the middle of moving, I couldn’t miss it. I’m traveling this week. Headed up to Lake Tahoe, a trip that’s unusual given that I’m far from the outdoorsy type.You’ll read more about the trip later, but I will tell you that we went on an excursion to Donner Memorial State Park. That’s the site of the Donner Party incident and it’s about 20 minutes away from Lake Tahoe. It’s lovely in Tahoe, but I miss Los Angeles. I miss city streets and bright lights on every corner. But, I’ll be back soon with lots of updates from my thrift shopping for music adventure. 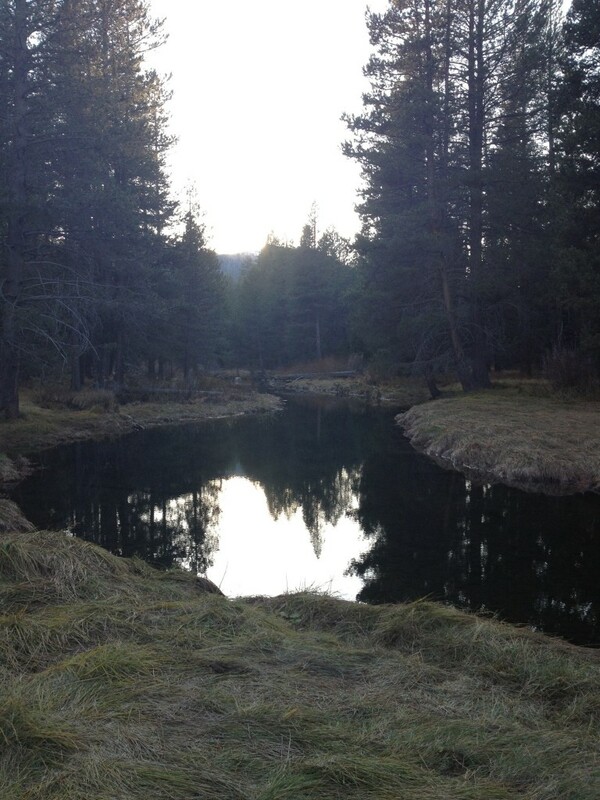 (Yeah, that’s what I do in the Great Outdoors.) 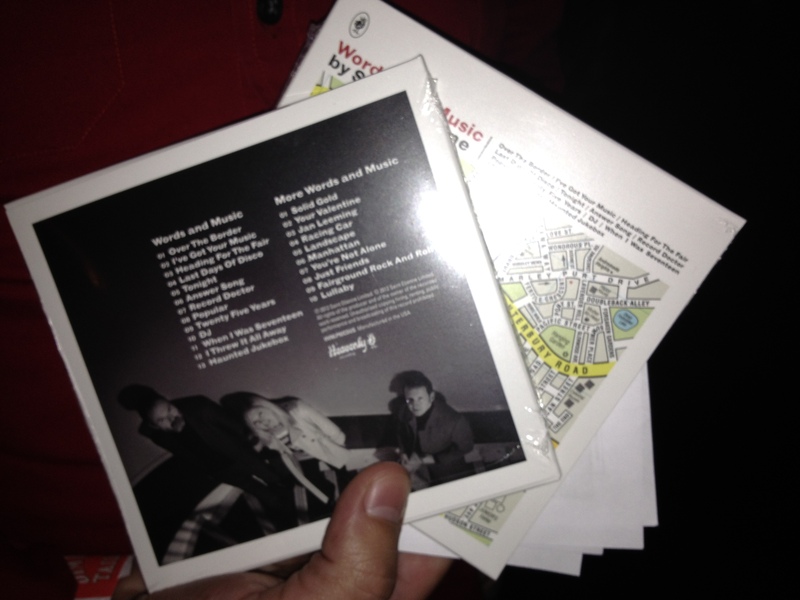 Also, got a post coming up from last weekend’s Saint Etienne show. In the meantime, check out my post for L.A. Weekly’s arts blog on arcades in L.A. I spent a lot of quarters on this one, so it should be worth your time. Also, my pal, fashion and travel blogger La Carmina was in L.A. recently and we headed out to Crazy Hook, my favorite spot in Koreatown, for dinner and then hit up a great opening at Pop tART Gallery. You can read all about it on her blog. 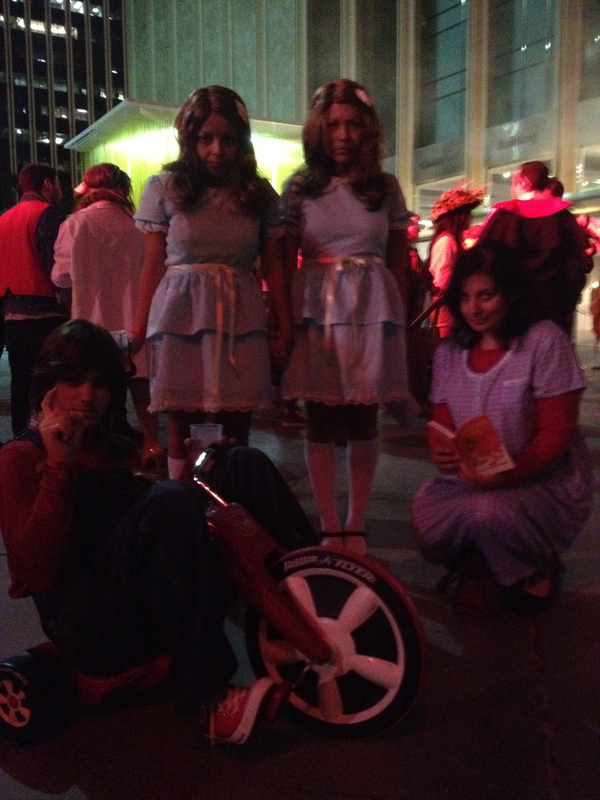 I bumped into Danny Torrance and the Grady twins. Dr. Strangelove is my favorite movie. It’s one of those classics that my dad made me watch when I was in junior high. It was before he got a universal remote, so he walked into the den and commanded me to change the channel. He was right. I was probably no more than 13 at the time, but this movie became an instant favorite. It’s one of very few movies that had a profound affect on my sense of humor, if not my whole worldview. I delved into Kubrick films, studying them one by one, not to memorize dialog or minutia– I never did that– but to try and figure out how he built greater themes over a period of time. I’m nowhere near the first person to gush about Kubrick, so I won’t. Really, I’m just trying to explain why I said yes to a last minute assignment. The gig: Cover LACMA’s Muse Costume Ball for L.A. Weekly. The reason I took it: The theme was Kubrick’s films. The event was also a preview for the Stanley Kubrick exhibition. The results: You can read that on L.A. Weekly’s arts blog. I’m on the decks and Underground tomorrow night and have a lot of cool stuff in store. There is a brand new Cold Cave 7″ in my crate. I’m also getting ready for new music from ADULT. by bringing some of my own old favorites. More importantly, I have two openings on my guest list and they could be yours. The first two people to leave their first and last name in the comment section will be on my list tomorrow night. That means you and one guest will be able to get in for free all night. The catch is you must be 21+ to enter. If you’re underage, you can’t get into the venue. Your spot on the list is only good for November 2, 2012. 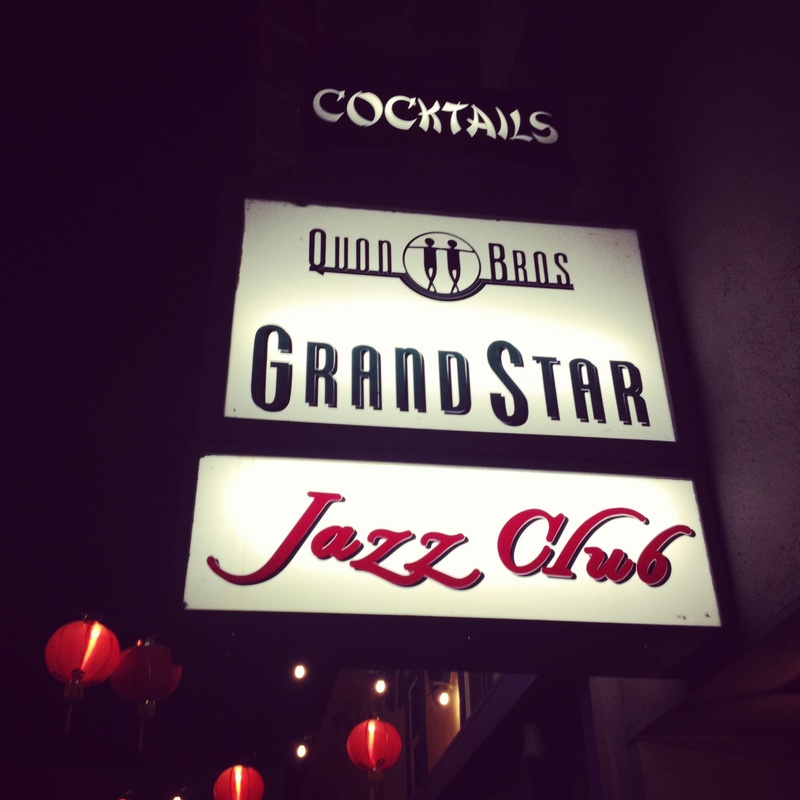 Underground is at the Grand Star Jazz Club in Chinatown (943 N. Broadway) and is across the street from the Gold Line. We open at 9 p.m. The cover is normally $8. However, if you’re on Facebook, you can RSVP for free entry before 10 p.m., and $5 entry thereafter.